Turn down the lights and turn up the glow. Glow up your party with special FX lighting for an amazing birthday party that will leave a lasting impression with all of your guests. This is an experience the kids won’t forget. 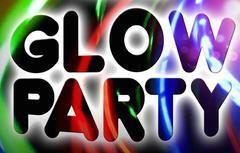 Add to the excitement by having party guests dress in glowing attire like white, neon or glow-in-the-dark clothing!